Owning rental property reduces your taxes. Owning rental property brings you a number of benefits. Many properties offer an attractive mix of equity growth and cash flow, but the tax shelter is probably the most appealing benefit. Since rental properties straddle the line between investments and businesses, you typically get liberal write-offs and tax advantages, including tax deferrals for exchanging rental properties. Most real estate investors hope their properties will gain value every year. Some of the growth comes from monthly payments on your mortgage, which increases your equity ownership in the property. Additional growth comes from your property increasing in value due to a healthy market or, in the case of rental properties, due to growing net operating income. Since the Internal Revenue Service does not recognize capital gain until you sell the property, your money continues to grow as long as it stays in the property. 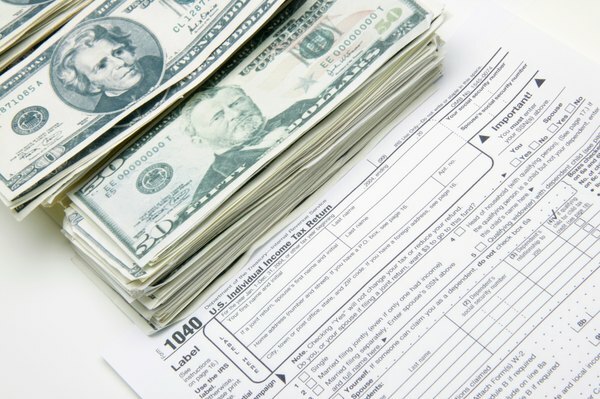 The IRS only requires you to pay tax on the profit that you earn from your rental properties. To calculate your profit, add up all your rental and other income and subtract all your expenses. Your rental property expenses include obvious things like mortgage interest, repairs, property taxes and management fees. It can include expenses related to travel. For instance, if you own a beach house in Hawaii and spend a week there to work on it, the entire trip would be tax deductible. Depreciation of your property allows you to write off a portion of the property's purchase price every year as a way of acknowledging that it gradually wears out. You don't spend anything to get the depreciation deduction; it just helps to cancel out other income, reducing your tax liability. With all the expenses you can claim on your investment property, it's not that hard to end up with a taxable loss. In most cases, you can't use losses from passive activities, like investing, to offset active income that you earn from your job. However, the IRS will allow you to claim up to $25,000 in passive activity losses from rental real estate against your regular income. To qualify for the tax benefit, your modified adjusted gross income must be below $100,000 -- or below $50,000 if you are married and file separately. For income over the modified adjusted gross income threshold, your ability to claim a passive activity loss falls $1 for every $2 of income. If you sell your rental property and use the proceeds to buy more investment property, even if it is of a different type or located in a different state, you can structure the sale as a tax-deferred exchange. By following the IRS' rules, you can carry your cost basis from your old property forward into your new property. Since the IRS doesn't look at this type of transaction as a sale, you won't have to pay any capital gains taxes or depreciation recapture taxes on the exchange. Is Sale of Rental Property Considered Passive Income? Can I Deduct a Loss of Money on My Home Sale on My Income Tax Return?